Now if you were a fan of the popular television show, Heroes, I'd like you to know that the Heroes Reborn App is now available for you to download. 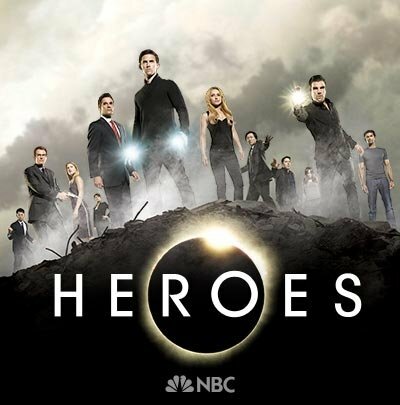 Essentially, it acts as a portal to the past, present, and future of the 'Heroes universe', providing us with a simple and intuitive way of quickly catching up on the saga of ordinary people discovering their extraordinary powers - with curated clips from all four seasons of the original “Heroes” series! The “Heroes Reborn” App also offers exclusive access to the all-new six-episode prequel, “Dark Matters”, and special content from “Heroes Reborn”, which will roll-out throughout the summer on NBC. EXPLORE: With the Explore interface, quickly get up to speed on the entire “Heroes” story, catch up on iconic scenes from a particular season or follow the narrative of individual characters. WATCH: In Watch mode, swipe to just the clips you want, and share them directly to Facebook. AIRPLAY: Use the native Airplay feature to watch everything on your big screen with an Apple TV. EXCLUSIVE CONTENT: Watch the prequel series, Dark Matters, exclusively in the app. 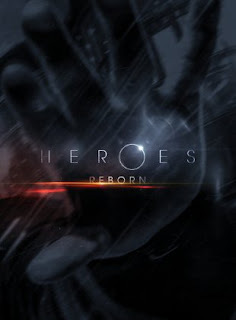 The digital prequel “Heroes Reborn: Dark Matters” bridges the gap between the original series and “Heroes Reborn,” reintroducing viewers to the “Heroes” universe and unveiling a whole new generation of “Heroes”. It's been five years since the public became aware of the existence of evolved humans, or "EVOs", who possess incredible, supernatural abilities. In that time, the public has grown to either fear or revere EVOs. An online community forms around the rallying cry of the anonymous Hero-Truther, who seeks to humanize EVOs in the wake of lies, slander, and fear mongering. Among those posting their personal stories is Phoebe Frady (Aislinn Paul from “Degrassi: The Next Generation”), who is encouraged to document her origin story by her brother, Quentin (Henry Zebrowski from “A to Z”). But as Phoebe struggles to control her power, she attracts unwanted attention from a mysterious new company. Hmmm? I wonder who that might be?